Here at Buckin’ Ohio we are proud to be Americans and are taking this day to recognize our service men and women. Join us in honoring the men and women in our military who are serving or have served. Come out and meet some members of our National Guard from Medina, OH. 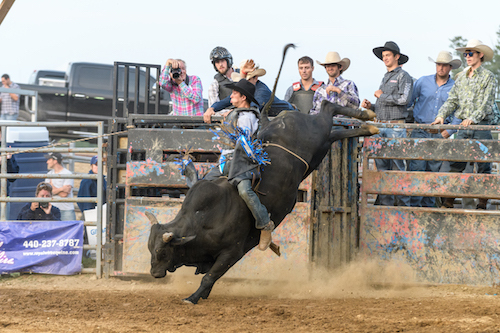 Celebrate the all-American spirit of pro bull riding, barrel racing and mutton bustin’ right here at the ranch. Gates open at 4:00. Pro bull riding at 7:00 pm.